Makes no mention of the Rewind project. 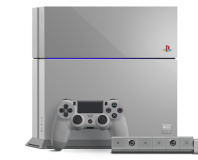 Sony could be working on backwards compatibility for the Playstation 4 according to sources close to the matter. When did 8/10 become a bad score? What's the world coming to when 8/10 is perceived as a bad score? Despite all the focus on next-gen consoles and DirectX 10, EA has revealed that most of the profit is makes stems from PS2 games. 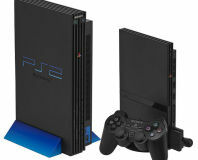 PS2 to sell for three more years? The PlayStation 2 was one of the best consoles ever made - but should we really be using the past tense? Sega doesn't think so and are sure there's still life in the old gal. GDC 2006: Shadow of the Collosus dominated this year's Games Developers Choice Awards, winning five gongs including Game of the Year. Yes, it's a PS2 game. No, we haven't gone mad. Katamari is one of the best games of the year so far, and this is the first release for the series in Europe. Find out how much fun it is to be Prince of the Cosmos and roll worlds up into balls to replace stars. Bizzarely. Six Australian High Court judges have unanimously ruled that it is not illegal to install a mod chip in a console for the purposes of playing imported games. Pirated versions still naughty though. Xbox 360 price announced today? Will Microsoft announce pricing for Xbox 360 at 9:30am EST today? What could the magic number be, and what will be included in the bundle? 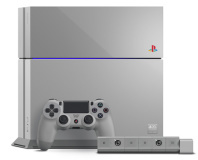 Sony won't take this lying down, slashing PS2 prices. Sony are hatching plans to foil Microsoft's launch of Xbox 360 this November by slashing the price of the slim, second generation PlayStation 2 to as little as £60 / $100. With the arrival of FlatOut in North America, Vivendi Universal Games and Empire Interactive jointly announce that a sequel will follow in 2006.